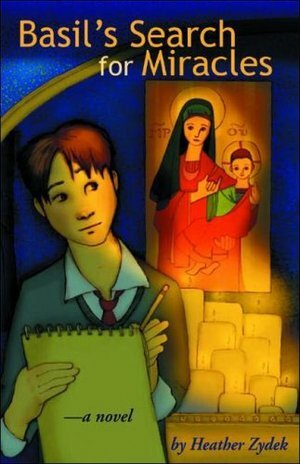 In Basil's Search for Miracles, Basil, an ordinary 12-year-old who dreams of being a reporter, is on a quest-he must find and report on true, modern miracles for his school paper, St. Norbert's News. After Basil sees a real weeping icon, meets with people who have been miraculously healed of deadly illnesses, and more, he begins to understand his faith and put it in motion in his own life. He struggles to get along better with his single mom, and befriends the social outcast of the school, a silent boy named Anthony. Throughout his first year at a private parochial school, Basil not only researches a new miracle for each issue of the News, but also learns that everyday miracles can happen even in his own life.